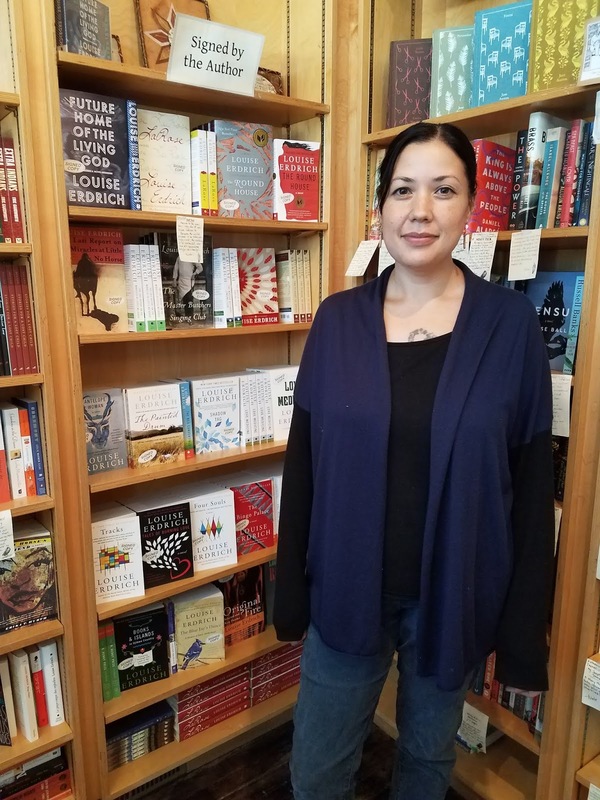 Today I have the pleasure of featuring Carolyn Anderson and Anthony Ceballos of Birchbark Books, one of three Native-owned independent bookstores in the United States. 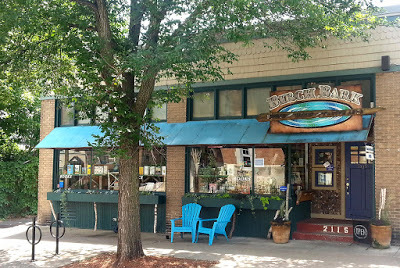 Owned by award-winning Ojibwe author Louise Erdrich, Birchbark Books is located in southwest Minneapolis. Welcome to Cynsations! Let’s jump right in to learn more about your work. Given Birchbark Books’ proximity to the Mall of America, I love the quote on the store’s website: “As the malling of America continues, it is our mission to be other.” How best do you feel Birchbark Books achieves being other? 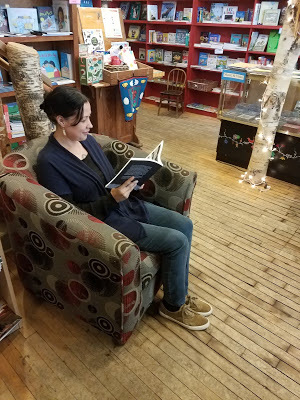 Birchbark Books thrives on maintaining the connection between books and readers in a way you won’t find in large corporate retailers. I think one of the joys for people shopping at our bookstore is that feeling when someone takes a book off the shelf, feels the weight of it in their hands, reads the description and instantly knows it is a book for them. There’s a spiritual connection that happens in a way it doesn’t with corporate-owned bookstores and definitely not on websites like Amazon, which I think deprive people of interaction with books not just as products to buy, but as works of art. When you walk into Birchbark, you can immediately tell it’s an independently-owned shop. The atmosphere is cozy, the staff is friendly, and it just has an energy that says we are an independent bookstore. It’s hard to describe, but when you feel it you feel it. The “malling” of America creates cold, florescent spaces where people are buyers and items are items. Birchbark Books will never be one of those places. We are owned by a Native author and specialize in books and art by Native artists and authors. Despite being the first peoples of this land, we have constantly been marginalized, and constantly seen as “other.” In many ways, being “other” in a corporate world is a stand against colonialism. We are here. We are not going away. We are not standing down in the face of things like Amazon. It isn’t always easy, but we do it and will continue to do it. What do you enjoy most and what is challenging about operating the bookstore? Working among books in a beautiful and soulful environment is the most pleasurable aspect of the job for sure. The other best part is our customers are so kind and so happy to be in the bookstore – it is very rare to run across someone in a bad mood. One of our positive attributes can also be one of the most challenging aspects of the job. We are about 800 square feet, and we process online orders and large orders from tribes and schools all year long, so sometimes the space starts to feel a little too tight. I appreciate that you have the entire store’s catalog of books online and have ordered many hard to find Native children’s titles as well as more recent ones from you. What type of decision making process do you or your staff go through in selecting the Native titles you carry? Thanks to the help of Nate, our web guy and book buyer, we do have an impressive online catalog and an amazing in-store selection as well. We are a full-range bookstore with a specialty in Native American literature. 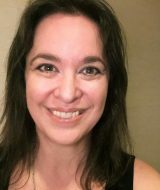 Putting our entire selection of books online would be an enormous endeavor, so we decided to limit our online store to only Native American titles (with a few exceptions since Louise has a blog where she recommends specific titles which may or may not be written by a Native American author. Also our dogs recommend books as well.). We try our best to include all of our Native American titles on our online store. To give you some insight into our decision making process for Native titles – when our book buyer runs across a book with American Indian content, he will send an email with a link or he will give the catalog to myself or to Louise and either one of us will decide whether it is right for the store. Occasionally, I am not sure about a book, in which case I will speak to some of our other staff members or to Louise for their perspective. It is also very common for authors to reach out to us via email or phone to let us know about their book and we will request an advanced reader’s copy for review. Another way we find out about Native titles is through educators that order books through us. Occasionally, they will ask us about a particular book that we have never heard of. From the descriptions of the children’s area, Birchbark Books sounds like a wonderful place for children to explore and find great books. What types of events do you offer for children and families? Louise feels that it is important to provide a welcoming space for families and their children. She also thinks it is vital that we encourage children to read, so we have two special places in our bookstore that are specially designed for children. 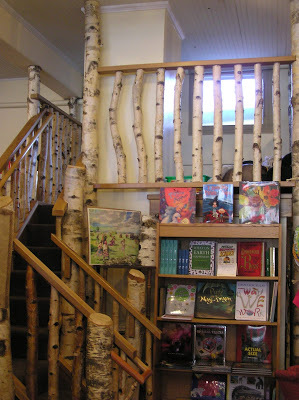 The tree house, which is a reading loft with a low ceiling that overlooks the rest of the bookstore. Directly underneath the tree house is the hobbit hole – another child-sized hideaway space where children like play while the adults peruse our book shelves. We do not have many events for children because due to our limited space, but occasionally we team up with our neighbor, ArtRageous Adventures, which is an art studio for kids. For the past few years on Indie Bookstore Day we have collaborated with ArtRageous Adventures on an event where we invite a local children’s author to read followed by an art project that reflects the theme of the book. What books for children and teens coming up this fall and winter are you and your staff looking forward to sharing with readers at your store? I am having a hard time finding books for young people that are coming out in the Fall or Winter, but I have yet to go through my stack of catalogs for that season. Some books that just recently came out, which we are very excited about are Bowwow Powwow by Brenda Child, translated (Ojibwe) by Gordon Jourdain, illustrated by Jonathan Thunder (Minnesota Historical Society Press, 2018), Ajijaak Crane by Cecilia Rose LaPointe, illustrated by Dolly Peltier (Waub Ajijaak Press, 2018), Sovereign Traces: Not (Just) (An)Other edited by Gordon Henry, Jr. and Elizabeth LaPensée (Makwa Enewed/Michigan State University Press, 2018), and the sequel to If I Ever Get Out of Here (Arthur A. Levine, 2013), which is titled Give Me Some Truth by Eric Gansworth (Arthur A. Levine, 2018). Anything else you’d like to add for our readers? Because we specialize in Native literature, we are always willing to help parents and educators find appropriate books for their specific needs i.e. reading level, age, themes, and region. Also, our store is dog friendly! Feel free to bring them in and let them enjoy the atmosphere! We have treats behind the counter. If you cannot visit our store in person, we have a beautiful website and we are happy to help you over the phone or by email. Carolyn Anderson (Navajo) is Birchbark Books Store Manager. 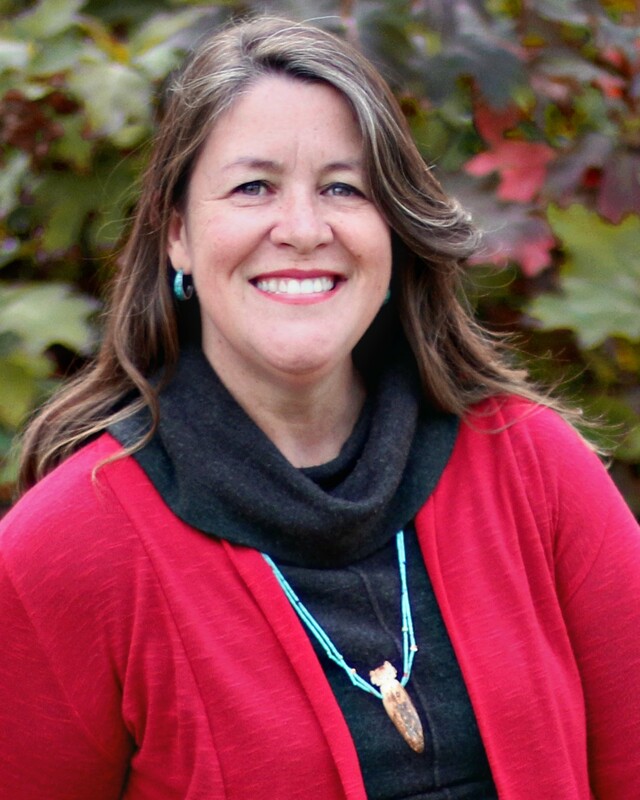 She is also a proud dog and cat mom, a food gardener, and a visual artist, incorporating Navajo weaving into her mixed media art works. Anthony Ceballos (Ojibwe descent) is a Birchbark Books bookseller and book chit-chatter. He is also a poet whose work has been featured in Yellow Medicine Review and Midway Journal. Traci Sorell covers picture books as well as children’s-YA writing, illustration, publishing and other book news from Indigenous authors and illustrators for Cynsations. She is an enrolled citizen of the Cherokee Nation. We Are Grateful: Otsaliheliga illustrated by Frané Lessac (Charlesbridge, 2018) is her first nonfiction picture book. 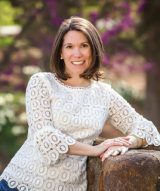 Awarded a 2019 ALA Robert F. Sibert Information Book Medal Honor, in addition to being named an Orbis Pictus Honor Book and a 2018 Junior Library Guild Selection, the story features a panorama of modern-day Cherokee cultural practices and experiences, presented through the four seasons. In fall 2019, her first fiction picture book, At the Mountain’s Base, illustrated by Weshoyot Alvitre will be published by Penguin Random House’s new imprint, Kokila. 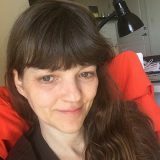 She is also the co-author of Indian No More with the late Charlene Willing McManis, which will be published by Lee & Low’s Tu Books imprint in the fall. 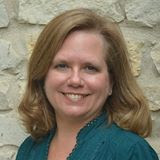 Traci is represented by Emily Mitchell of Wernick & Pratt Literary Agency.